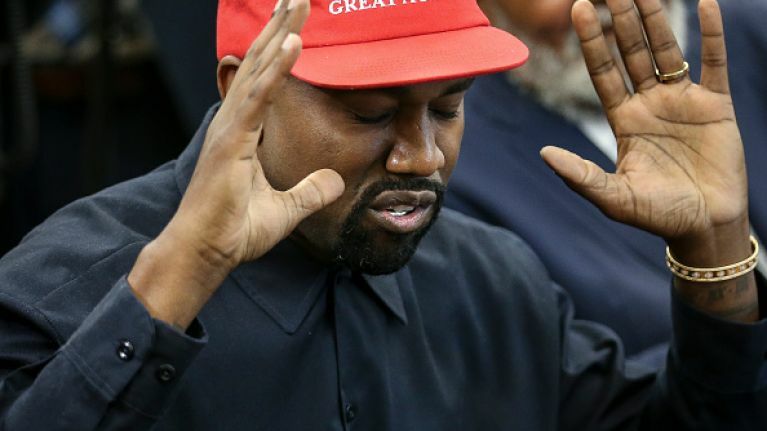 Rapper and fashion designer Kanye West was hosted by President Donald Trump in the Oval Office today, and even a man of Trump's brashness and crassness seemed to find Ye just a bit much. Surrounded by reporters, West launched into something between a spoken word poem and a tirade, throughout which he declared that his Make America Great Again hat is like a "superman cape" that gives him "balls", blamed a lack of male role models in the world for his attraction to Trump, and detailed some redesign plans for Air Force One. "If he don't look good, we don't look good. “This is our president, he has to be the freshest, the flyest, the flyest planes, the best factories and we have to make our core be in power". And it pretty much just got worse from there. We'd go into further detail about the things he said but I think we can all agree that the guy hasn't got a clue what he's saying. At best. When asked if West could be a future president, Donald Trump said he could well be. West chipped in to say "Only after, it would have to be 2024".